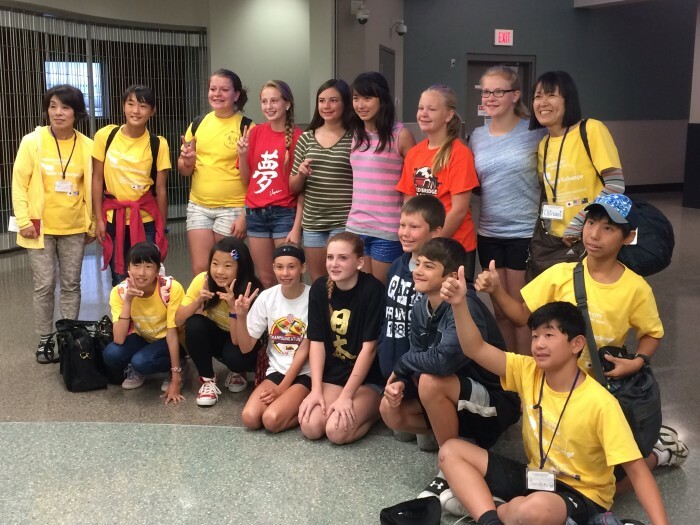 The Winterset Friendship Exchange Commission works to increase the visibility of the friendship exchange program with Minami Alps Japan. The commission is also working to promote expanded commerce opportunities with not only our Sister City Minami Alps, but other foreign partners as well, including Hebei Province in China. The five-member Commission meets monthly. The Sister City relationship began in the early 1990s with Shirane, Japan. Every year (except for one) either a group has gone to Japan or visited Winterset from Japan. The groups have ranged in size from almost twenty to the current ten student limit. The student ambassadors are all volunteers and are in the 5th and 6th grade. They come together as a group and develop a plan to host the guests from Japan for an approximately ten days in late summer. They plan itineraries that highlight central Iowa which include: visits to a farm, the local tourist attractions, Des Moines attractions and family time. Students stay in the homes and enjoy Iowa life. The group also raises funds to help underwrite the cost of traveling to Japan. When the group visits Japan three of the parents participate as chaperones. A year was missed where the exchange did not take place due to concerns regarding the Asian Bird Flu. In 2004 three communities in Japan merged to form The Minami Alps. There have been a number of adult exchanges as well. Most recently, in 2014, a delegation represented Winterset at the ceremonies commemorating the 10th Anniversary of the merger that formed Minami Alps.